The winners of the IT Security Awards are announced (left to right): Detlef Schmuck, TeamDrive Systems GmbH, Maximilian Adrian, SAP AG, Ulrich Parthier, it verlag GmbH, Claudia Scholl, SAP AG, Juri Frommer, SAP AG, Stefan Strobel, Cirosec GmbH, Ofer Maor, Hacktics Corp. and Ralph Salomon, SAP AG. We are proud to announce that yesterday we received the coveted "IT Security Award 2012" in the category "Web/Internet Security" at the 2012 IT-SA Security Expo in Nürnberg, Germany. 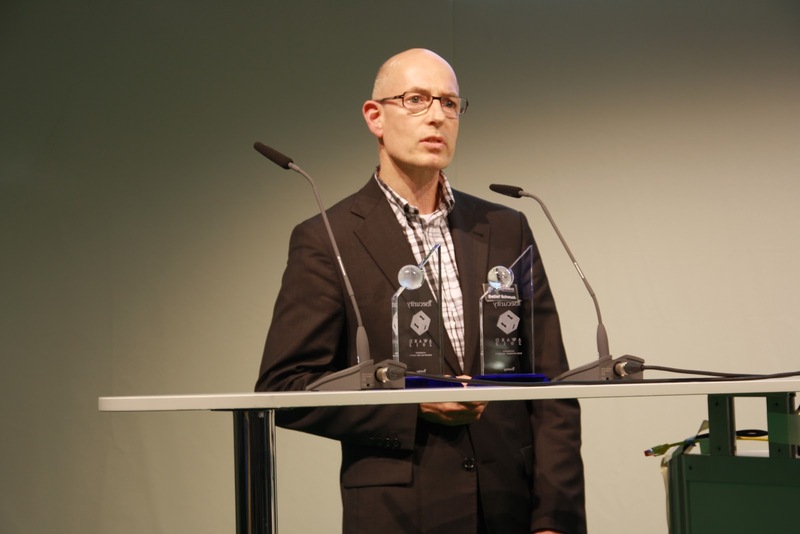 The well-named jury awarded our solution as a private label product (“SmartSync”), hosted in the Hamburg-Cloud, providing a hosting service for companies, business customers and public services in Germany. These services are built to satisfy the government regulations for data security and privacy. Among us on the awards stand were Hacktics Corp., and SAP AG. SAP AG hauled in the Management Security award for their development of an IT Security Management Strategy that simplifies processes and increases efficiency in the management area. Hacktics Corp., also took a bow as they received the Innovation of the Year award for their development of the web application Scanner Seeker.